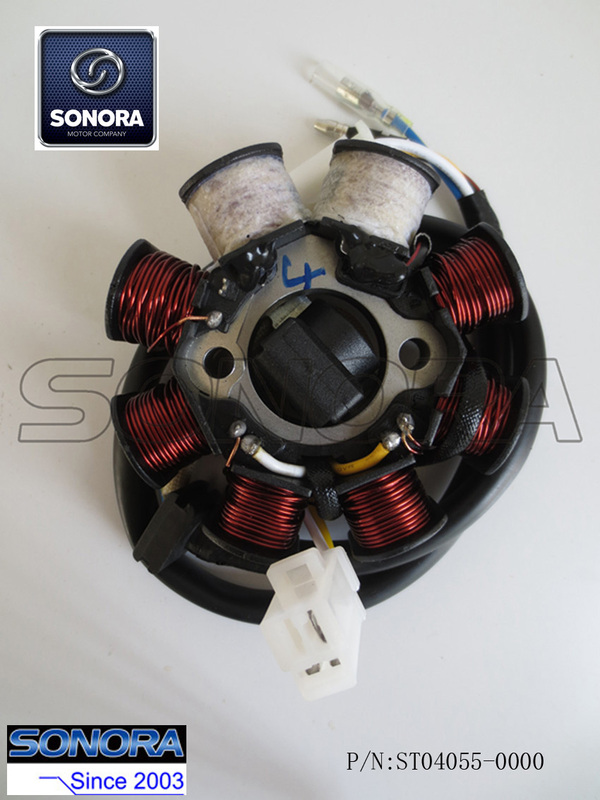 Stator for Benzhou Scooter GY6 50cc, half wave. Please note the plug of the stator, as the photos shown, it's the old model plug. If you require the new model plug, please tell us, we also can supply. This Stator Coil Magneto is 1*7coils, with 1 plug and 2 connection cable . 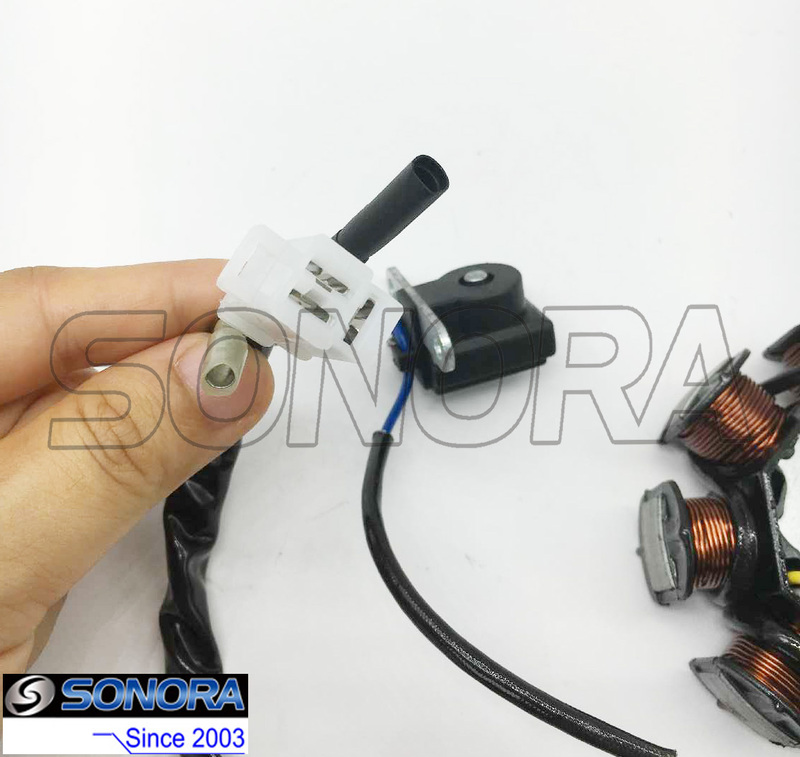 There are several models of stators for different models of Benzhou Scooter.If you require the Benzhou scooter Stators, please don't hesitate to tell us.We help you to find the part you require quickly. 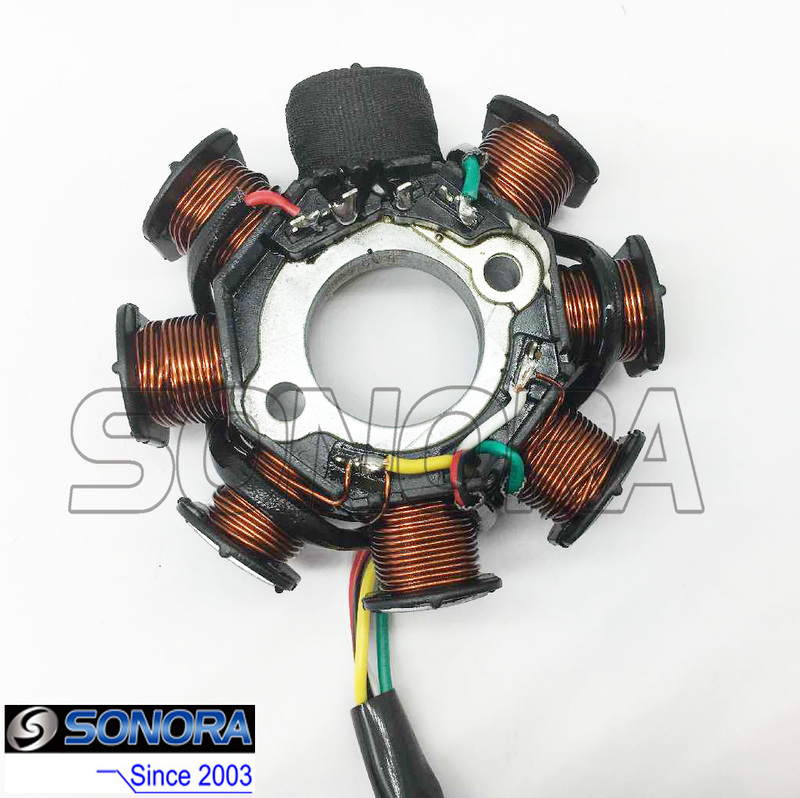 As different models, different plugs for different models of stator coil.If there are any dimensions you would like to know, or you want another model, please feel free to contact us.We'll answer you in one working days or even sooner. 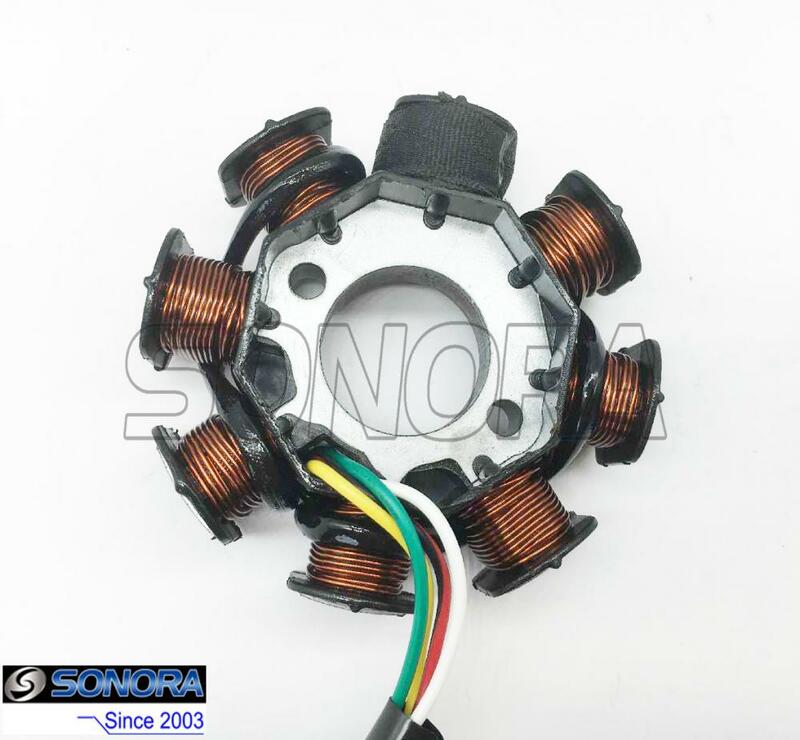 This is an 1 x 7 Coils Ignition Stator Magneto.It is made of good quality pure copper wire, and giving stable and reliable performance,help the bike easy to ignite, work smoothly. 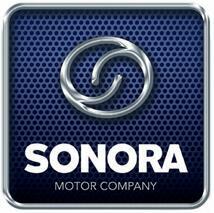 The application of the startor:Benzhou GY6 50cc Scooter.Sonora Motors can supply almost different kinds of Scooter&Motorcycle Engine parts , such as Piston & Ring, Cylinder Kit, Crankshaft Crank Shaft, Clutch & Driven Pulley , etc. Looking for ideal Benzhou Scooter Stator Manufacturer & supplier ? We have a wide selection at great prices to help you get creative. All the Benzhou Scooter Stator Coil are quality guaranteed. We are China Origin Factory of Half Wave Stator. If you have any question, please feel free to contact us.